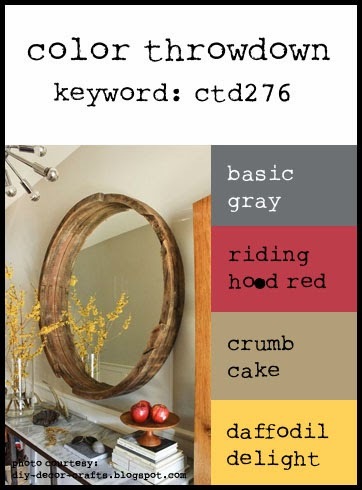 Smitten: Colorthrowdown # 276- New York Minute!! Colorthrowdown # 276- New York Minute!! Good Morning!! Time for the next Color Throwdown Challenge and Barbara brought us the colors this week!! I played with some "new to me" stamps this week. They were NBUS (never been used schtuff) as Darnell would say. 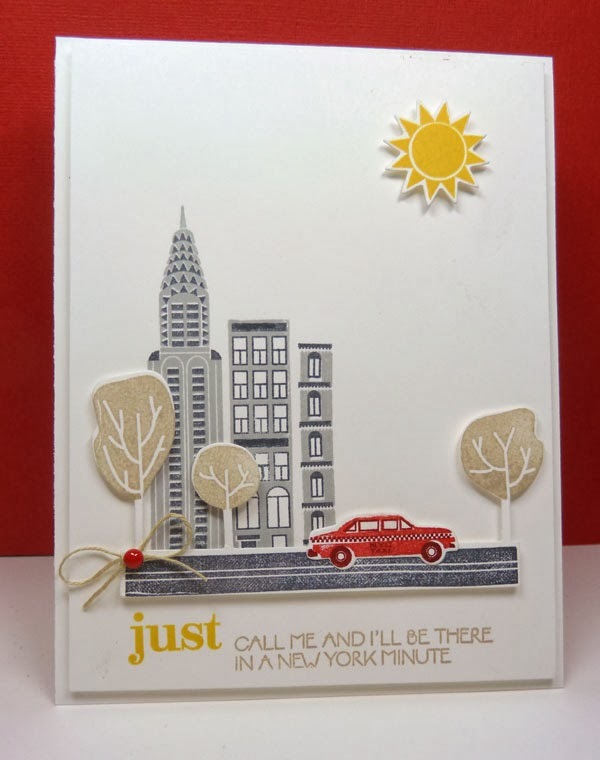 I created a little scene using PTIs City Scene, City Scene Sentiments, and coordinating dies. Fun stuff! For more inspiration, you'll want to stop by and visit the other team members' blogs. Also we have Linda McClain joining us as the January as Guest Designer! You may know Linda from her popular Catered Crop Recipe Swap challenge. Remember, if you don't have the exact colors, use whatever you have that's close...the color police won't come after you--this is all about having fun! If you upload to a public gallery, please use the key words CTD276. Also, when linking up your card using the linky tool at the bottom of the post, please link to your specific post, not a generic link to your blog. I love that sentiment! Fabulous card! Love your little city scene, Vickie...you have used all the colors beautifully and what a wonderful sentiment!!! This is so CUTE! Anyone receiving this card would certainly smile! Your scene is fabulous!! Love NBUS - will have to remember that :) Have a fabulous day! This is perfect! I adore the scene you've created and all using subtle shades of these gorgeous colors! Amazing scene Vickie. Love the way you used the colors. Just perfect in every way. What a fun card Vickie! Love your NYC cityscape! I'm in a NYS of mind ;) My home state! I LOVE how you used all the stamps and dies to create this perfect little city scene! Awesome, Vickie! Fabulous job creating your city scene, Vickie! I've been thinking about adding this set to my collection and this may have pushed me over the edge. I love, love, love your card! Those colors are just perfect for this set of stamps and your design is stunning. Love it! I love this! What a darling little scene!! What a fabulous, trendy urban scene! Such a fun sentiment, too! Glad you are using some new schtuff! Love your gorgeous city scene. I've got a tray of "new" aka "not used" stamps too. This set would have been in there too if I could have worked it into the budget! Color Throwdown #273-New Colors and....News! !